Has someone stolen time or something? This last month seems to have flown over! I know I’ve had bits and bobs to do but it feels like I blinked and missed it! I’ve had a couple of signings to do which have been fantastic – the response at Sunderland Waterstones (With Deadly Intent is set in Sunderland) was amazing! 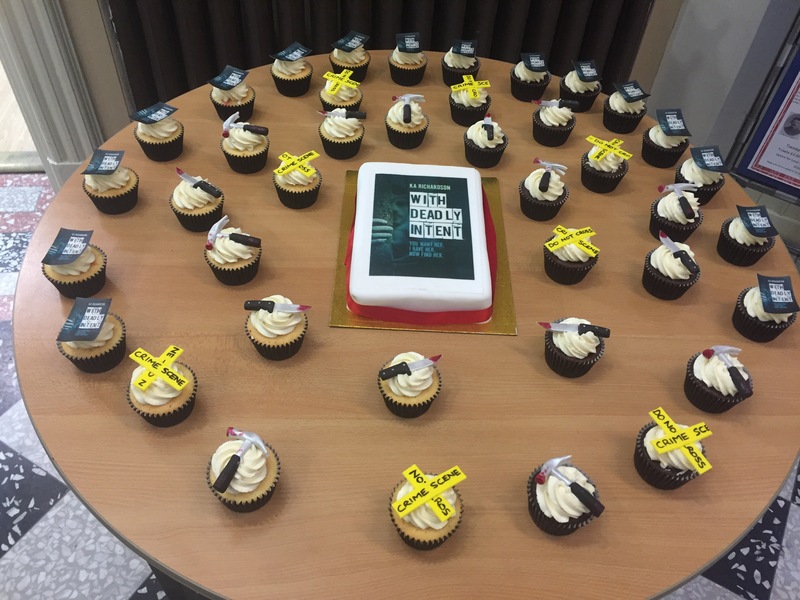 And I know they’ve ordered more books since which is fab – Darlington Waterstones was great too – it was a quiet day in town and still people popped in! I’m signing today at Waterstones Northallerton and then on 4th June at Waterstones Metro Centre (Gateshead) – so exciting having people buy my book and it’s been getting fantastic reviews! I’m so grateful for that – it makes me very happy knowing people are enjoying it. I think I mentioned in the last blog that I’ve signed a 3 book deal with another publisher, Bloodhound Books. I’ve had a few people ask me why and just to clarify, it’s not because of any issues with Caffeine Nights who published With Deadly Intent – they’re fab and did a great job on book 1. It was simply a case of weighing up the options and ultimately ended up that the offer was too good to pass up. I have some fab news too – you may or may not know that I’ve been struggling a little with the ending for book 4 – it just wouldn’t flow, everything I wrote was clunky, I couldn’t get it to say what I wanted it to etc. It almost got to the point where I gave up completely and just figured it might be time to bin it. But I decided instead to put it to bed for a while instead. I’m not going to look at it for a couple of months and hopefully when I reread it the ending will appear and it’ll be done in no time. This has meant however, that I’ve now started book 5!! Which may end up being book 4 in the series but still, I started it!! I wrote 3500 words over 2 days – and then another 1200 while I was away with mum earlier this week – and then my hard drive decided to corrupt the file containing the first 3500 words and I lost it! So I now have to rewrite! Lol. But I started it – and I already love the characters and what’s been covered so far. It’s going to be filled with action this one! 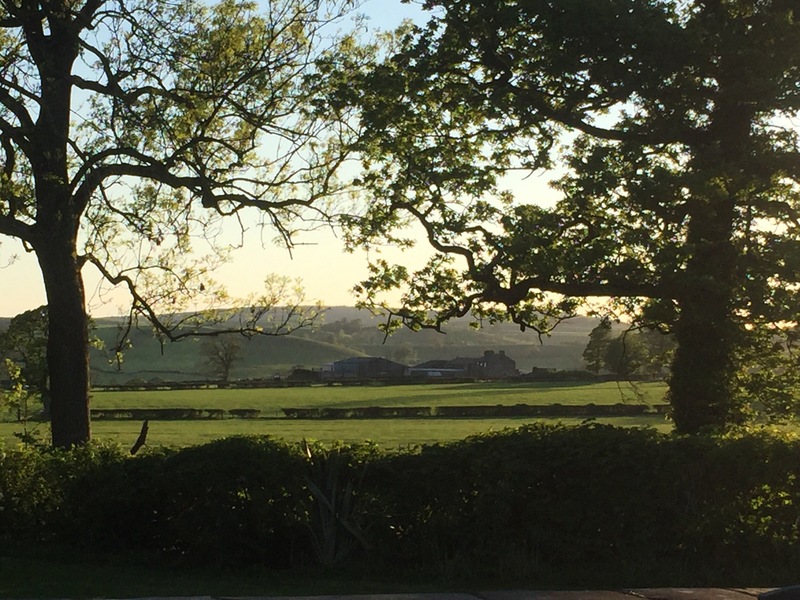 I had a lovely short break away with mum earlier this week – a couple of nights in a nice hotel with a spa – the only thing I’d have changed was that it could have been longer. But she’s now disappeared on holiday to Turkey so it couldn’t have been anyway! Me and Pete are looking after the two pups and mums bichon, Alfie. It’s all go with two pups like! I get the next book back soon from the editor – I really hope you guys like this one. I love all my characters but there’s something about Ben that pulls at my soul. She’s amazing – and don’t worry, you’ll find out why she’s called Ben when you read it! I know it’s an odd name for a female character. I’ve got the cover design now but can’t show you yet – as soon as I can though I will! It’s fab and creepy. This entry was posted in Blog Posts on May 28, 2016 by Kerryrichardson77. Wow can you believe it. My book With Deadly Intent has finally been released! 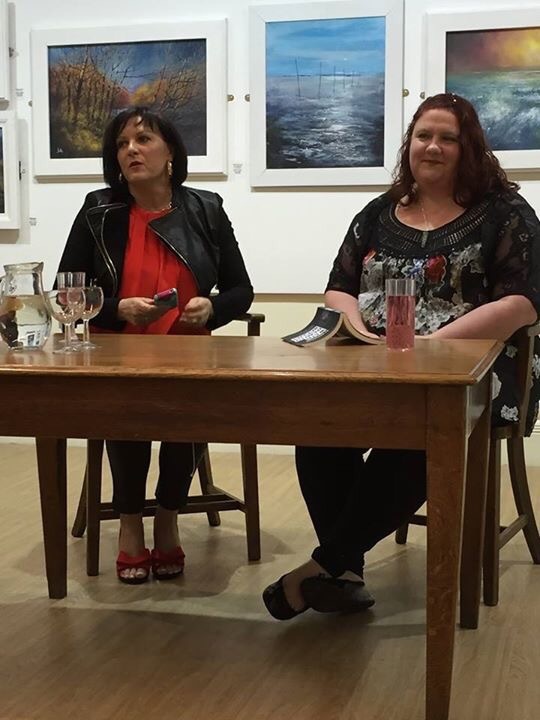 I was interviewed by the lovely Eileen Wharton who stood in for Sheila Quigley who was poorly in hospital, at my launch party on 15th April. Eileen did a great job – the questions were thoughtful and interesting. Was amazed to see so many people there too! Around 45 people attended – lots of friends and family, colleagues and a few lovely people who came from the advertisements in papers and at the library. There was cake (made by my lovely friend Rachel) wine and lots of good cheer and I enjoyed myself immensely. This led onto the book going out for review copies to various online book clubs and bloggers – The Book Club, UK Crime Book Club, and Crime Book Club being the most prominent. Sincere thanks to all who read it and provided reviews – it makes me so happy to see people enjoying it. I know lots who attended the launch have also added reviews and it’s so much appreciated. Hard to explain how important reviews are – not just in relation to gathering more sales and increasing the books presence on the likes of Amazon, but also for me – the comments I’ve had on the book have been fantastic and a real boost for me. As an author I worry constantly that it’s not good enough, or people won’t like it, etc. But you guys make me believe that it is good enough. So THANK YOU. I admit to getting a little OCD about checking Amazon rankings and the like! It’s been a great month. As well as my book coming out, I was offered a 3 book deal for the next 3 in the series by Bloodhound Books which is just fantastic! Am over the moon that they believe in my writing enough to offer such a thing and look forward to working with the team. Newcastle Noir ran from 29th April to 1st may – I headed up on the train with Eileen and had a fab day on Saturday, chatting and catching up. Was lovely. Unfortunately couldn’t make the Sunday due to illness but can highly recommend it to anyone looking for a great north east crime festival to attend. This entry was posted in Blog Posts on May 2, 2016 by Kerryrichardson77.